Make sure you’re ready for your holiday recital this year! 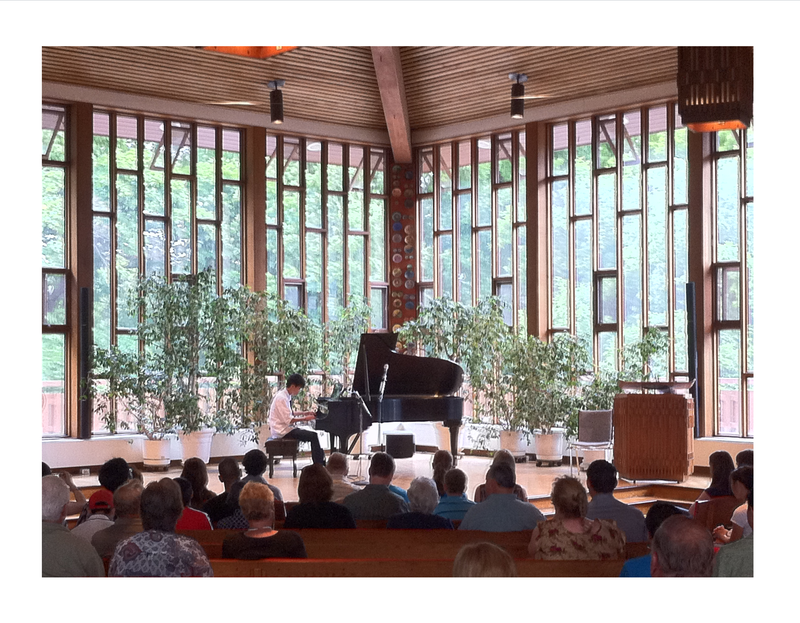 Annual or biannual recitals are often a chief component of music schools’ curriculum no matter where you go. And, as a music teacher, I agree that student recitals and concerts are a great way to showcase students’ hard work and give them an extra little push to excel at their instrument. Regardless of all the benefits of performing, students will get nervous when it comes time to play in front of a crowd. Some don’t worry too much, or they use their anxiety as a way to adrenalize themselves when on stage. For others, their nerves can get the best them, sometimes with catastrophic consequences to their self-esteem once the show is over and curtain is drawn. Do mock concerts: Have as many little “mock” or mini-concerts in front of a small group of family and friends as you can. It’s often said that it’s easier to be in front of a room full of people you don’t know, than in front of a handful of those you do. If you can get through your piece fluidly in front of your parents, siblings, fellow students or friends, it’s a good indication you’ll be fine playing for a bigger, more anonymous group! Record yourself: Playing while recording is a good simulation of what it feels like to play for an audience. Additionally, the benefit of hearing yourself played back allows you to correct the mistakes you never may have realized you often make, and add some polish – a touch of rhythm here or sprinkle of dynamics there – to create an even better sounding piece. Practice mentally: Not all preparation involves playing over and over again! (Though this is never discouraged…) It often helps to mentally prepare as well. Close your eyes and visualize your hands on your instrument as you play, or how you would breathe and say lyrics as you sing. Visualize the music in front of you, line by line; see what the notes look like and hear what they sound like. Mental preparation is more effective than students think, and will make you more confident in what you’re getting ready to play. Know the notes: Make sure you know your song, inside and out. Notes, rhythms and finger patterns or positioning should be close to second nature in the week leading up to your performance. Practice daily: Even if just for 10 or 15 minutes, it is essential for students to practice their piece(s) every day when preparing for an upcoming recital. Daily repetition will help in memorizing and becoming completely comfortable with the song. For vocalists, it will help to memorize lyrics. Ideally, singers will want to be able to recite their lyrics out loud, just by speaking them as if reading a poem, without any melody. Don’t think you have to start playing right away! Take your time, get comfortable. Adjust your seat, get your music ready, take a deep breath and then begin. If you make a mistake, keep going! A few wrong notes or chords here and there will not be obvious to your audience; if you stop playing completely to starting over, however, it will be noticeable. Try to keep a steady pace. We tend to rush through things when we’re nervous, which increases the chance of making a mistake. Remember you’re up there to showcase your hard work, and your teacher, parents and friends are proud of you! Try to turn your nerves into excitement. Smile, enjoy your time up there, and have fun! Chances are you’ll think it went by too fast when it’s all over. With these tricks in hand, I hope students will make the most of their recital days. It truly is a fun experience once the nerves are gone and encouragement is there! Those in the Ottawa area are welcome to join Barrhaven Music Academy’s annual Holiday Concert, coming up on Saturday, December 22, starting at 12:00pm, at 30 Clearly Ave. Admission is free, but donations of non-perishable items will be gladly accepted for the Ottawa Food Bank. 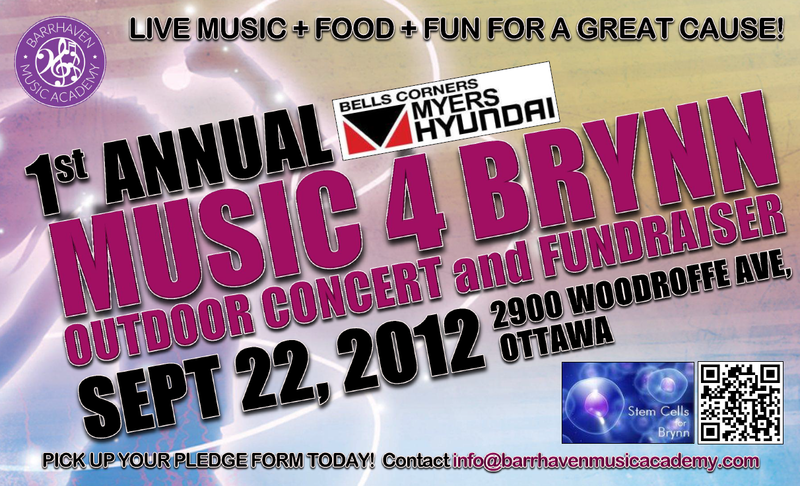 For more information, visit www.barrhavenmusicacademy.com.